The real estate industry has been impacted by a number of changes—slow sales, demonetisation, GST, and, of course, the enactment of Real Estate (Regulation and Development) Act. In addition, there are a number of low-visibility, high-impact events taking place that will continue to pose challenges to the sector in the future.The most notable of these is in the banking space. Historically, the Reserve Bank of India has not permitted banks to finance developers for the acquisition of land. Funds from banks were available only after construction permissions were obtained. However, industries—banking and real estate—found a workaround, especially since bankers wanted to lend and developers wanted to borrow funds. In such a situation, where sales proceeds from flat buyers were adequate for construction requirements, there was no need for debt to finance the construction. Therefore, once construction permits were obtained, developers applied for construction finance and these funds were diverted for purchasing new land. Banks, who had built relationships with developers, were satisfied with the intent of the developer. Banks were able to charge a higher interest and developers had access to funds. The money went into an asset that people believed was completely safe. The slowdown in the market, however, dried up funds for many developers from sales proceeds. They started defaulting on their debt obligations. In the past, it was easy to “convince” the managers at the bank and restructure the loans. However, in the light of other structural changes in the law as well as banking frauds coming to light, bankers have been forced to get strict on the loans. Under the scanner, the bankers could not admit to being complicit in the accepted practice of permitting the diversion of the funds. The outcome, therefore, was to blame the developer for diversion of funds and criminal breach of trust. There is no doubt that developers were wrong to divert the funds. However, the outcome is more important. 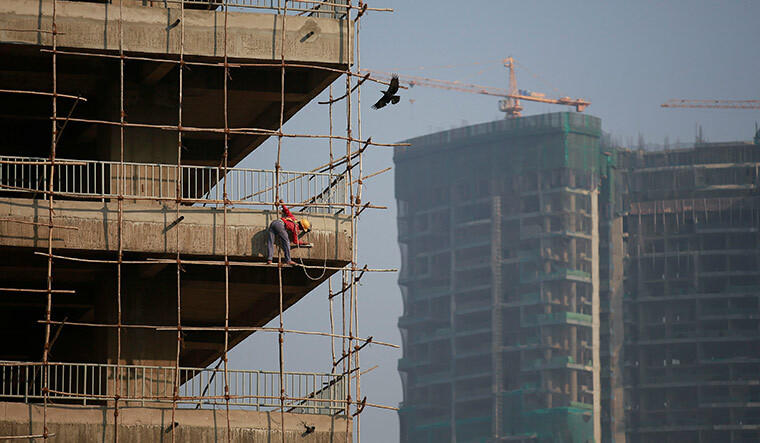 Diversion of funds from construction finance to land acquisition to satisfy growth requirements is not something that developers can take for granted and, as a result, the tightening of the banking norms further creates a challenge for developers who are already struggling on account of the norms of placing 70 per cent of sale proceeds into a designated account. If this was not enough, the discussion around placing flat purchasers’ monies on a par with of that of the loans from banks further raises the risks for the banks. In case of a default by the developer, they will be forced to increase the cost of these funds to account for the enhanced risks. In addition, while the bank is a single entity, the number of flat purchasers are many. Each of these flat purchasers would have partial payments made. Some of them could well be in default and reconciling this will be needed first and only then can the debt be addressed. This adds to the uncertainty for funding for developers. In addition, the scanner on bankers on their involvement in cases, risks around retired officials being rounded up and charged, the RBI circular, dated February 12, 2018, announcing new norms for classification and treatment of defaults of loans in excess of Rs 50 crore have all added to the layer of caution in the banks. The elimination of crony capitalism and of collusion between greedy developers and corrupt bankers is a good thing. However, the outcome of this is a pain for the real estate sector. In an ideal world, the tightening on one side would lead to addressing the capital constraints in the sector. But, unfortunately, we do not live in an ideal world and as usual it shall take its time to get resolved. Meanwhile, developers with strong balance sheets and fiscal discipline can continue to perform while those who relied on managing the system will see more days of pain ahead. This may be good news for a small minority of well-capitalised and fiscally conservative developers. However, for the majority, these structural changes will end up restricting the ability of developers to access funds for growth and bring in a sanity to the sector while at the same time the increased controls will further help in delivery for the home buyer. Gera is managing director, Gera Development Private Limited.